Get onboard the largest gay cruise Europe has ever seen with our all-new adventure on the massive 3000-guest Celebrity Reflection. 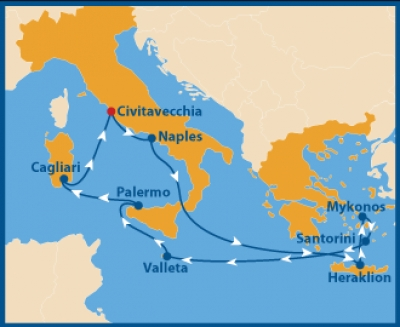 Explore the best of Italy and the Greek Isles as we sail from Rome to some of the most beautiful islands in the world – including an overnight in stunning Mykonos. Onboard we’ll dazzle you with endless stellar entertainment, the world’s best outdoor parties, and more fun than you ever imagined.